and through this assist in place making and community identity/belonging. 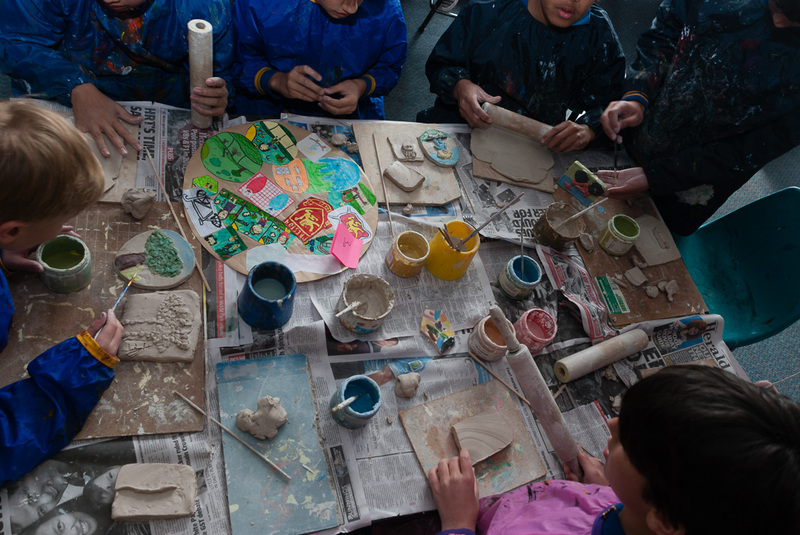 The project worked collaboratively with children from grade 5 and 6 at Preston South Primary. 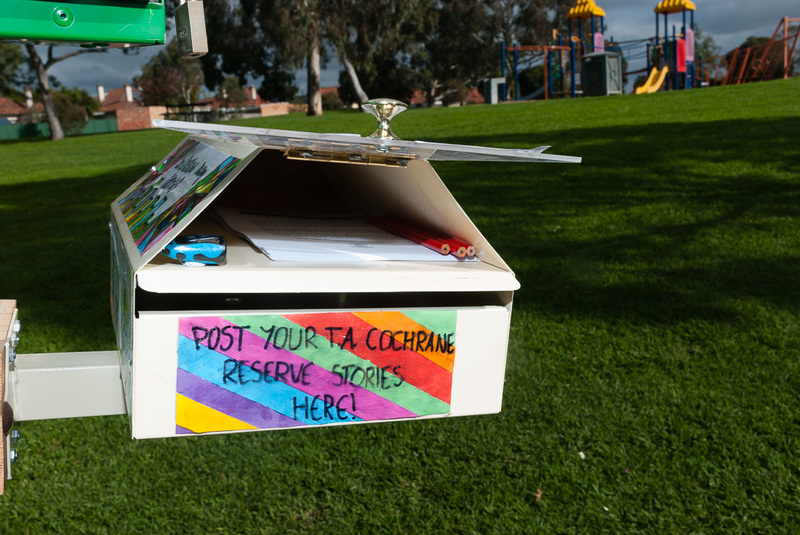 The students worked with Lindy to collect stories from the community about T. A. Cochrane Reserve. 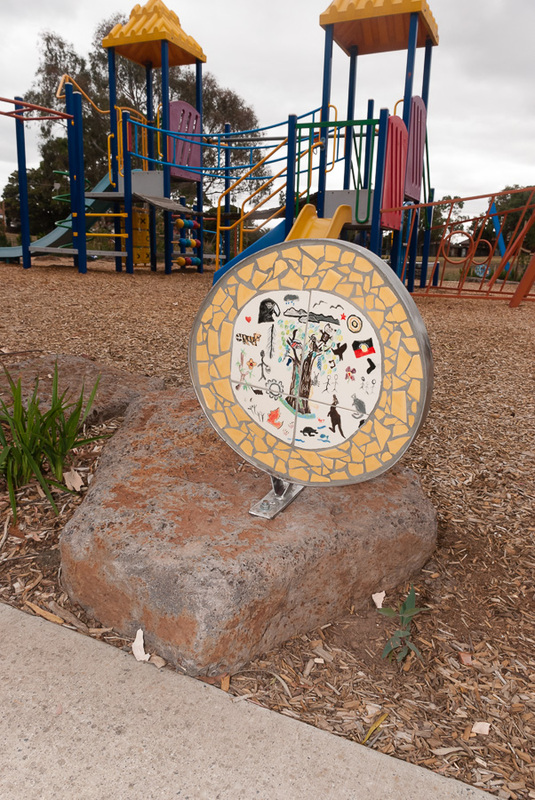 These stories were then used to inspire the artworks to be integrated into the playspace. 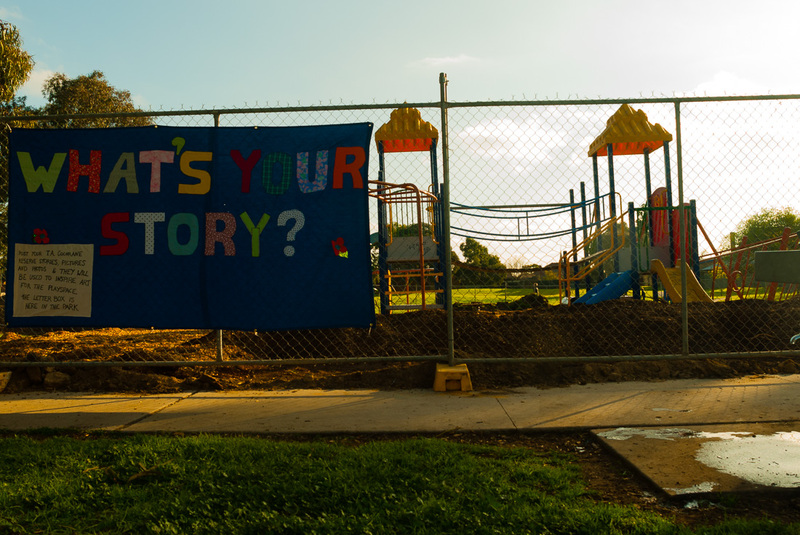 The students investigated the playspace, it’s history and details of the planned upgrade. They then devised a series of questions to ask the community, designed posters and conducted a letter drop. 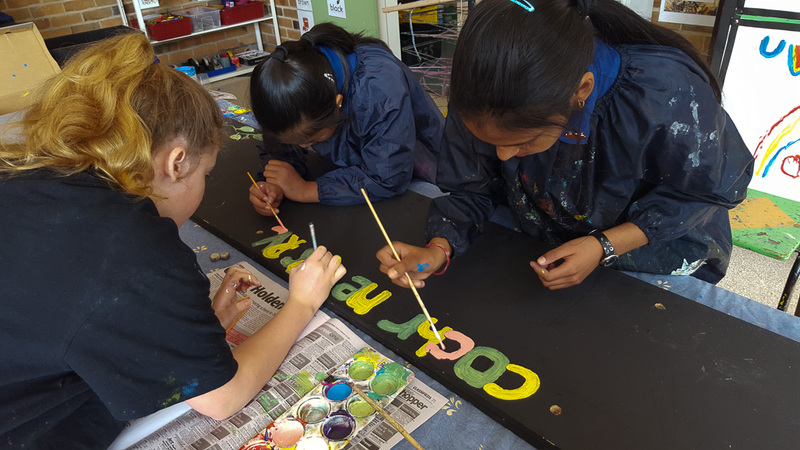 A large textile banner was placed in the park informing the community about the project and letterboxes were left in the community for people to ‘post’ their stories about the reserve. 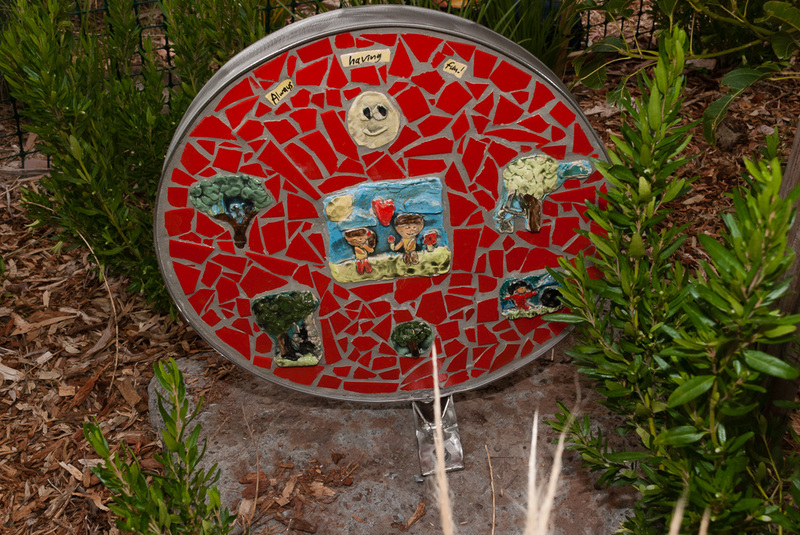 From here, the students collated the stories and worked with artists Debbie Qadri and Nick Hackett to create clay and ceramic mosaic works that were placed in the playspace. Students worked in low relief clay sculpture and painting using glazes to translate the community stories in pictures and words. These were then fired and integrated into 6 double sided mosaic sculptures. 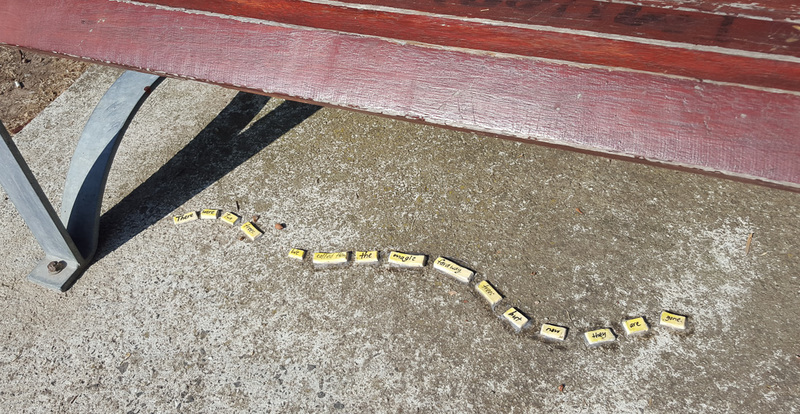 Each piece is held in place by a stainless steel armature. Students attended the blackmith’s barn at Coopers Settlement to learn more about how Nick Hacket shaped the steel for the project as well as other blacksmith techniques. 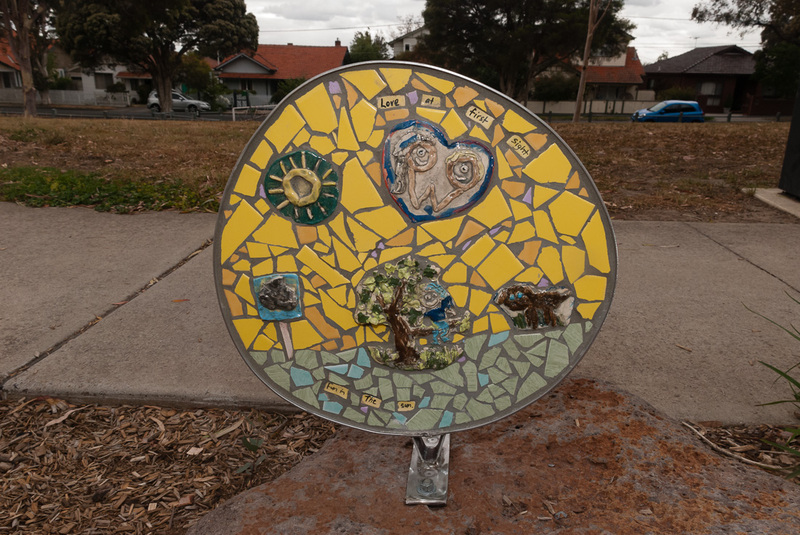 One section contains painted tiles depicting an amazing story written by Aunty Judy in response to her session with the students at the school. This story ‘a star is born‘ was inspired by student drawings and reflection. 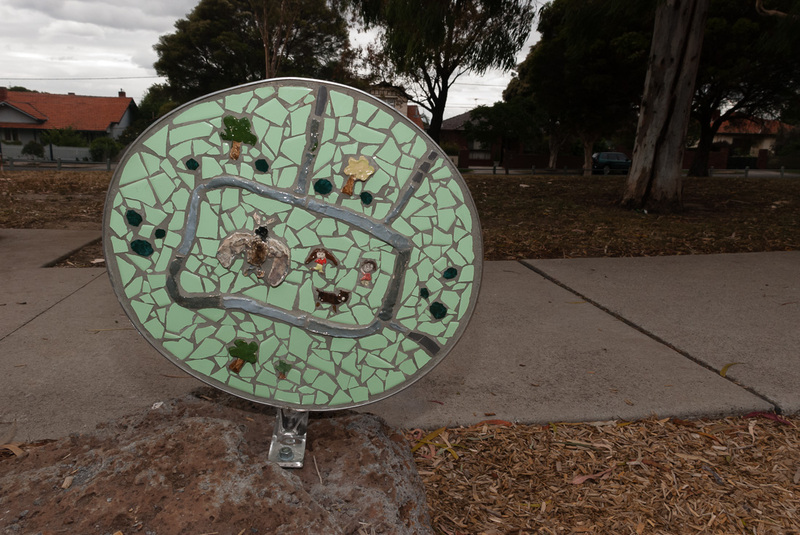 It tells the story of each student as an individual and their role within the community in the broader context of a the aboriginal tale of the Koala and the water. Some incidental text pieces were also inserted into locations around T. A. Cochrane Reserve. The students also decorated a blackboard that was included in the the park. The project took an entire school year to complete, each term focusing on a different unit of inquiry for the students learning. Students were thrilled to follow the project through from inception to completion and be instrumental in the execution of the entire project. 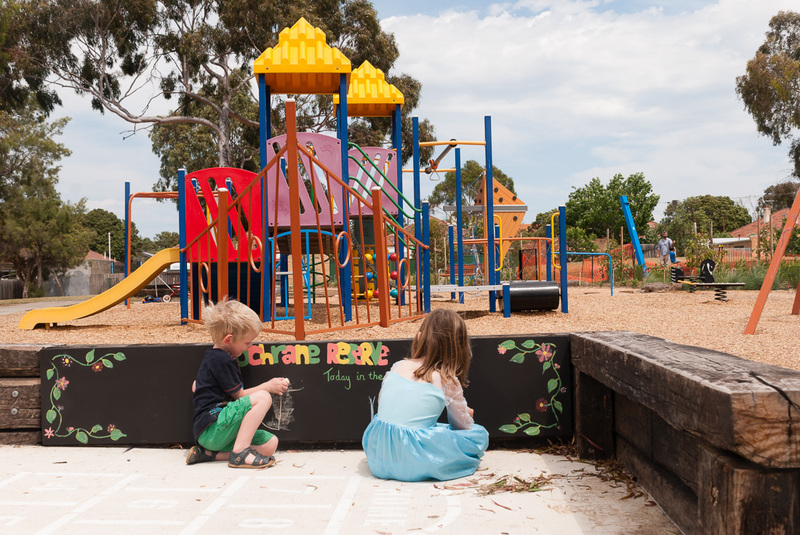 Congratulations Lyndy, this looks like a wonderful place to play for kids.